What kind of year are you hoping for? No matter what you're hoping to achieve this year - the team at Principals Australia Institute can help you make it happen. Our catalogue showcases our products, services, publications and professional development events. Whether you're a teacher, school leader or an association we can work with you. What are the best ways to help your students make smart choices when it comes to drugs and alcohol? Positive Choices is an online portal to help school communities access accurate, up-to-date drug education resources and prevention programs. They’ll soon be launching a new website with more resources. To make sure you’re the first to see it – register now on their website. Australian Principal Certification has entered the design phase, drawing on expertise from the national Principal Design Team comprising ACER Executive Consultant Dr Lawrence Ingvarson and a group of 10 leading principals from diverse Australian school contexts. Learn more and meet the Principal Design Team. The design phase of Australian Principal Certification will lead to the launch of the National Prototype Trial, from July through to September 2015. We are seeking principals from across Australia, to participate in the Trial – a unique professional learning experience. Learn more and register your interest. How do young people engage in the online world? The experts in this space - young people themselves - answer questions like this, and aim to increase parents and carers’ digital literacy in ‘This is our world, online,’ launched today by the Young and Well CRC. The first series of Graduate and Grow workshops have been held around the country. 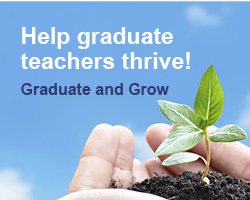 The resource to support school leaders working with graduate and new teachers, includes a flexible long term program supported by professional learning tools for leaders and graduate teachers. Don’t miss out on the next round workshops across Australia in June/July 2015. 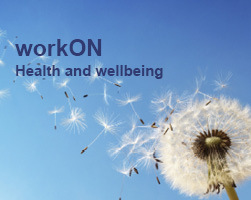 The first day of workON health and wellbeing workshops for leaders and staff are currently underway across Australia. The next series of Day 2 (leadership teams wellbeing) and Day 3 (staff wellbeing) have been programmed around Australia in June-July and Sept-Oct.
Don’t delay in registering your staff teams to attend and pick up some of the latest PAI resources available. Looking for personalised professional development? Are you looking for personalised professional development for your school leadership team or education network? The Institute’s experienced Innovations staff are available to run workshops, training and professional learning at your next conference or event. What Asia capabilities are required for young Australians? What opportunities exist for schools to engage with Asia? Adelaide event features Tim Harcourt – The Airport Economist – speaking about how we build an Asia capable workforce. 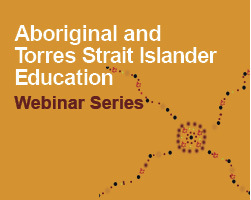 Join your colleagues in a two-day interactive workshop to enhance your skills in leading your school’s Aboriginal and Torres Strait Islander education focus. Find out more about leading to make a difference. Future Developing Quality Leaders events coming up in March to June. How do we make schools safer? 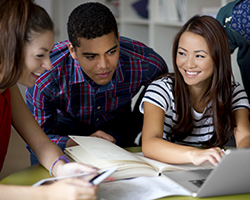 Having your say in this short survey will help shape the development of the Safe Schools Hub and support the National Safe Schools Framework. For more information and to start the survey visit the website. 25 March - Between the Bookends: What else matters other than attendance and economic development in remote education? If you missed the first webinar - Constructing Learning that Counts - you can log on to palnet and view a recording. View our full range of webinars on our website. Have you selected your student principal? 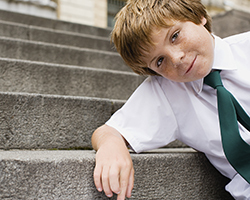 On June 3 2015 students across Australia will have the opportunity to step into the shoes of "principal" for a day. 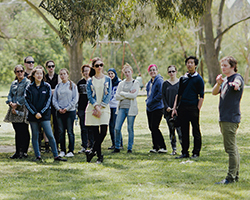 Student Principal for a Day is the Institute’s national leadership event that gives primary and secondary students a hands on leadership experience. The event is sponsored by Sherpa Kids Australia. Want to help build wellbeing in your school? Principals Australia Institute staff are hosting Briefing and Getting Started events throughout the country to help you engage with MindMatters. There are now 11 modules live on the MindMatters website for you to explore. The MindMatters survey tool has also just been launched. The tool helps school leaders survey staff, students and families. Contact your Principals Australia Institute project officer to find out more. The Conference program includes a number of outstanding presenters. 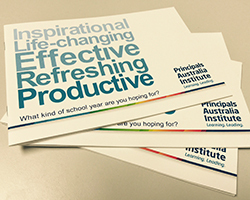 Principals Australia Institute will be at the Wellness Show promoting our wellbeing initiatives. We hope to see you there. The program includes Inspirators’ presentations and the sharing of the development of leadership and learning since the 1st International Dialogue held in 2013. Primezone helps teachers and students investigate and understand more about primary industries in Australia and where our food and fibre comes from. They have extensive resources and teaching ideas for you to tap into. National Close the Gap Day is on March 19 2015. Host an activity to show you care, raise awareness, and take action in support of health equality by 2030. The Coles Junior Landcare Garden Grants will give away $1,000 to schools to create gardens in their grounds and communities. Read more. The Yates Junior Landcare Winter Vegie Challenge encourages children and youth groups to grow their own winter vegetables and share their journey. Read more.